A two-day conference and an additional day of workshops designed to “connect-the-dots” between research, extension and application. This meeting is for extension agents, natural resource professionals, land managers, educators, as well as pollinator enthusiasts who want to develop or enhance the pollinator programming in their area. Conference talks will be mixed with discussion sessions, allowing participants to network and identify local knowledge and education gaps. 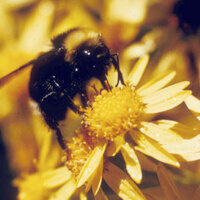 Together we can make the PNW region the most pollinator-friendly place in the world!